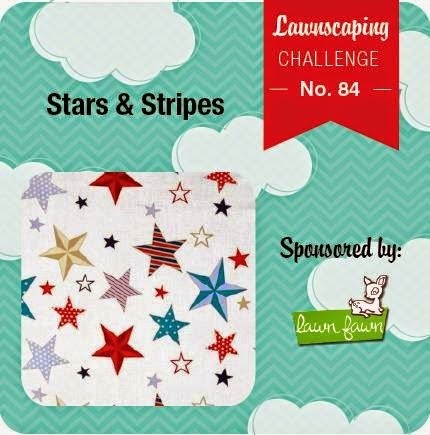 This is my second entry for the Lawnscaping Challenge. Today I got in this awesome stars stencil from My Favorite Things designed by Mona Pendleton. It was just too perfect for this challenge not to use it. So I sprayed the card stock with Dylusions - London Blue and Cherry Pie to make the background. 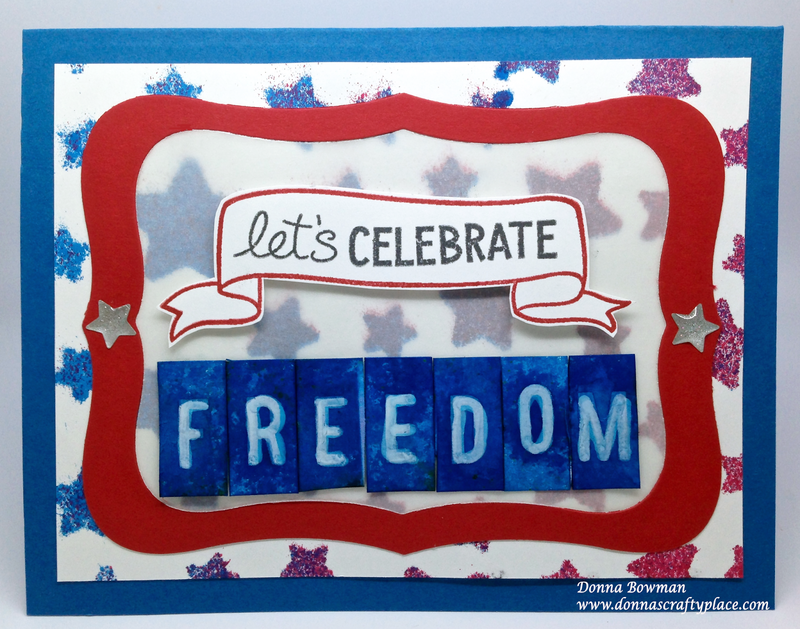 I used the "Let's Celebrate"
sentiment from the Lawn Fawn Happy 4th stamp set and I stamped it in a banner from the Lawn Fawn Bannerific stamp set. The letters are Heidi Swap Color Magic that I sprayed with the London Blue Dylusions. I wanted the letters to stand out a little more so I went over the letters with a white Stampers Big Brush Pen. I also didn't want to cover up too much of the background so I put the banner and letters on a vellum die cut. I just used two dies to make the frame around the vellum pane. Then, I added two Doodlebug Design stars on the ends of the die cut frame. The inks and colored cardstock are Stampin Up - Pacific Point and Real Read. The black ink is Memento. Thanks for stopping by! What a cool card! Love the way you colored the background with the stencil, the layout is great!